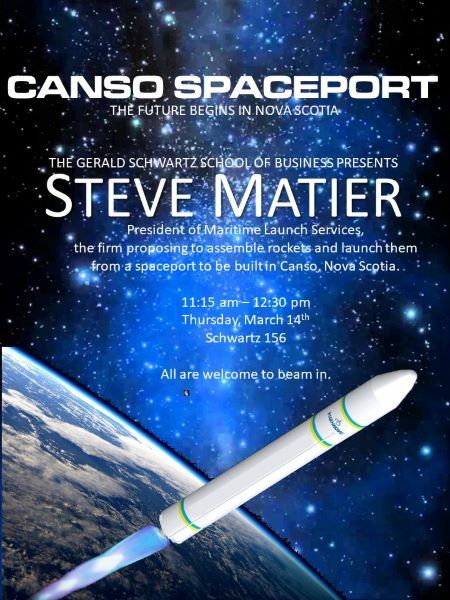 The Gerald Schwartx School of Business is proud to present a talk by Steve Matier, President, Maritime Launch Services. The company is seeking to build a rocket launch facility in Canso, Nova Scotia that would assemble rockets and launch satellites into orbit. This would be a significant development in Nova Scotia's aerospace industry. Join us for a talk with a question and answer session to follow.